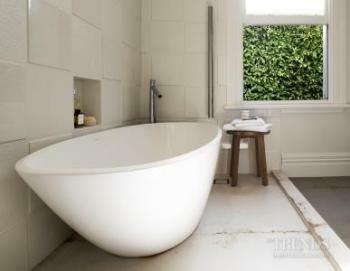 Sometimes the quest for strong visual appeal in a bathroom can impede its functionality. 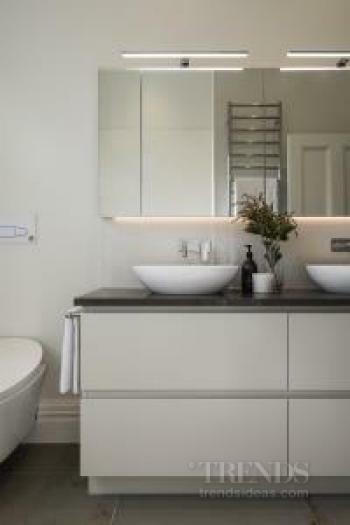 However, bathroom specialists Design Haus struck a healthy balance between the two on this refit. Part of a classic villa renovation, Design Haus wanted this family bathroom to capture the sense of the villa's origins plus achieve a modern accent. 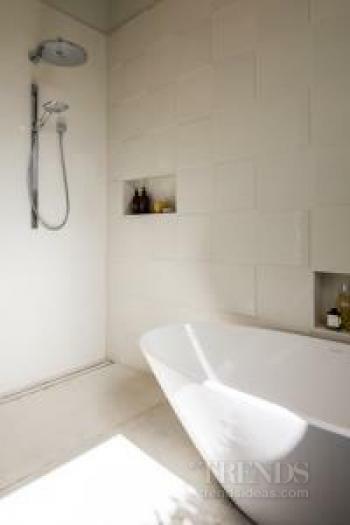 The tile selection played a key part in this design. Two types of Flexible Architecture porcelain tiles were alternated to create a 3D pattern on the walls. And the soap niches in the bath and shower zone are in the same proportion – as though a tile-shaped brick had been removed. These tiles have a refined, modern feel but are contrasted by an antique-look, rust-edged Garage Sugar tile in the bathing zone along with a similar tile on the main floor. Similarly, the bath has a classic feel at first glance, but the proportions are contemporary. As a family bathroom, plenty of storage was a must. 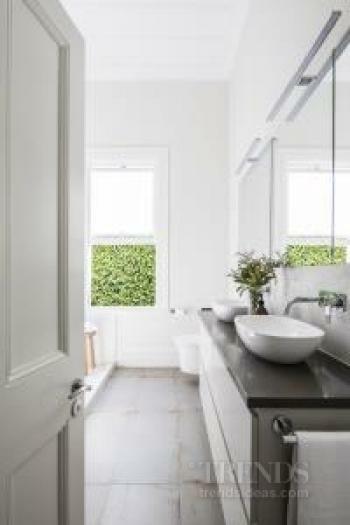 To maximise this, Design Haus added a roomy vanity in the same colour as the wall behind, downplaying its size. In addition, the elegant twin benchtop basins and sleek lighting above the recessed mirror cabinets lead the eye.